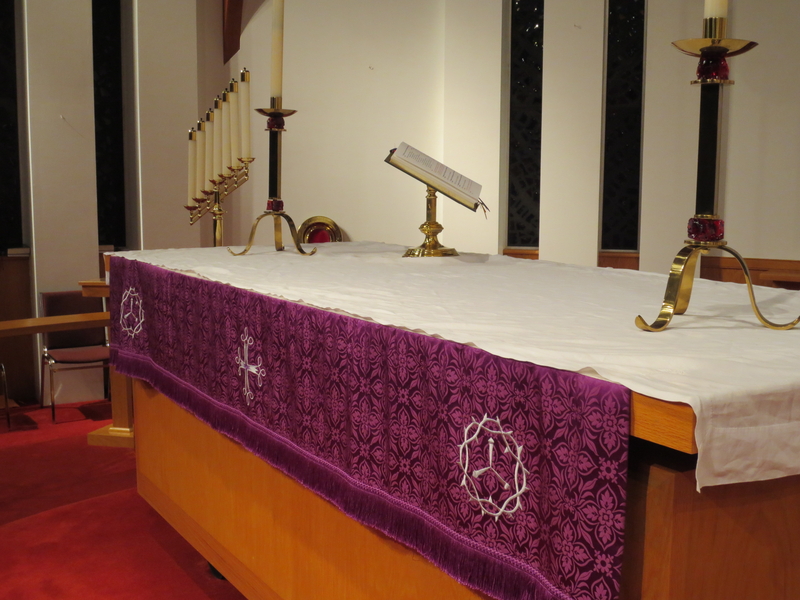 This ministry involves preparing the worship space with the furnishings, appointments, vessels, elements, linens and paraments used in the liturgy (Altar Guild and Sacristy Handbook, S. Anita Stauffer). Translated, the people of this committee set up and care for the altar paraments according to the color of the liturgical season, as well as preparing for the sacraments of Holy Communion and Baptism. Members usually serve one month at a time, twice a year. Monthly meetings are held on the second Monday of most months at 7 p.m. New volunteers are welcome.